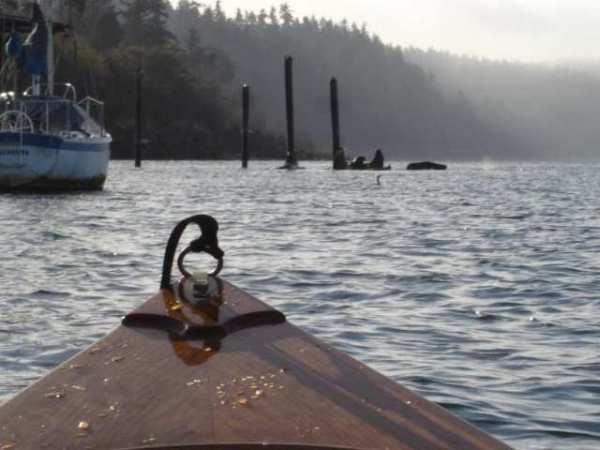 Our newest boat….the Duck Dory? It sprang, in part, from a conversation we had with the folks at Cabela’s. We were doing a show—they were set up nearby. And, truth be told… they were spending way too much time in our booth. It was the beauty and utility of our boats that drew them in. 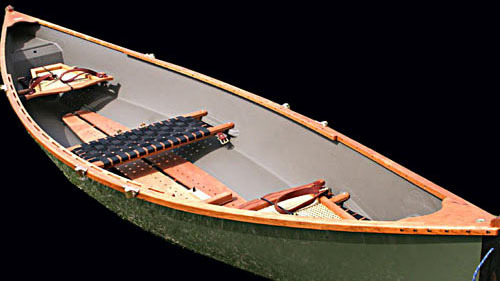 The Duck Dory is the same boat as our Vermont Fishing Dory… just a different color scheme. 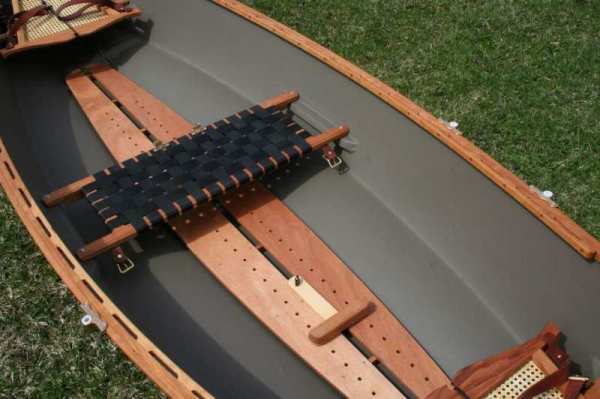 As we gain more experience with this boat, modifications continue to present themselves that we just can’t and shouldn’t resist. The boat below belongs to Teddy Kleisner, an officer serving in Iraq. His parents bought him the boat as a welcome-home present. When we were driving out for the Port Townsend Wooden Boat Festival, we delivered the boat to Teddy’s wife, Susan, and helped her hang it from a couple of hooks in the rafters of their garage….awaiting Teddy’s return. Here’s a photo Teddy sent in a few months after cominghome. We wrote saying that the thought of pulling the trigger on the shotgun while sitting on the sliding seat cracked us up….bang, zoom, from one end of the boat to the other. He also sent in another photo we like…we take them to be sea lions bellowing on the rocks of Puget Sound… not that we recommend hunting sea lions. 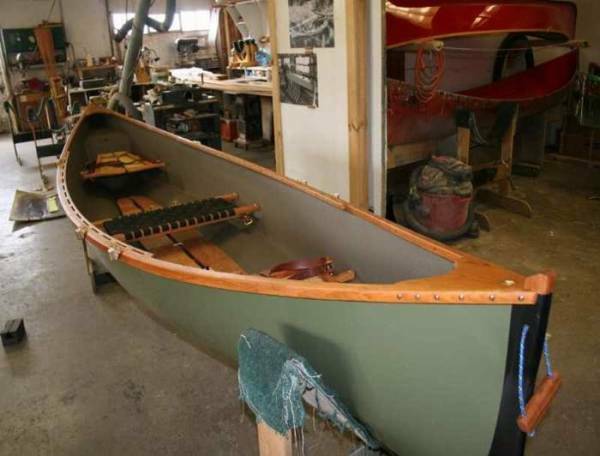 The Duck Dory is shown below in our shop, ready to be shipped to a customer.